So the next time that you send a meeting request to hotels, do two things to get better bids. 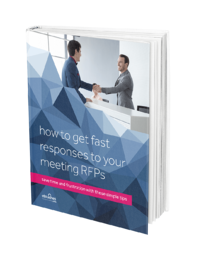 Make your Short List date as close as possible to the date you sent the original RFP. You should need no more than a week to review all of the proposals and pick the ones that jump out at you. Believe it or not, salespeople would much rather know early that they didn't make the cut, rather than continuing to call you to work on a lost cause. To see firsthand how the short-list works, use Zentila for free to send your next meeting request. Our Short List technology makes easy work of picking your favorite hotels. And best of all, Zentila automatically notifies the Finalists and gently lets the others down.